Booty Perfect wants you to be completely satisfied with your experience so we have made returning or exchanging products easy. 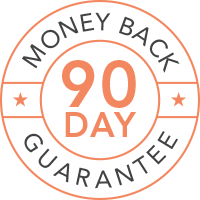 You are backed by a 90 Money-Back Guarantee. If at any time, within 90 days of your most recent order, if you are dissatisfied with the product, contact our customer service team using our contact form at https://www.bootyperfect.com/contact/ to request your refund. Product refunds are limited to the most recent purchase and are limited to a maximum of the purchase price of your most recent shipment. All refunds are processed upon receipt of unused product. Please include your full name and order number with all refund requests. Wholesale orders are not eligible for the money back guarantee.